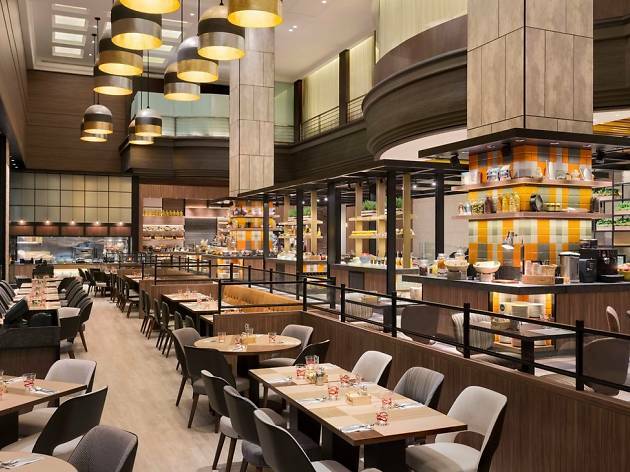 Calling all buffet lovers: from now ’til May, J65 at Hotel Jen Tanglin’s shaking things up with five different buffet spreads, depending on which day you drop by. 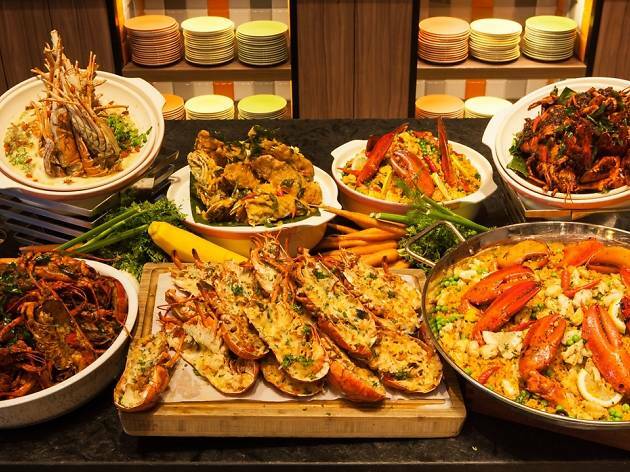 Whether it’s hearty, meaty platters or crustaceans that you’re craving, your dinner plans will be sorted here, easy. On Sundays and Mondays, tuck into an international spread of moreish roasted prime beef ribs, crispy pork knuckles and a whole baked Norwegian salmon, among other dishes. Chinese classics make an appearance, too, with mains such as braised herbal duck, roasted chicken and Kam Heong prawns – that’s prawns stir-fried with shallots, curry leaves and chilli padi. 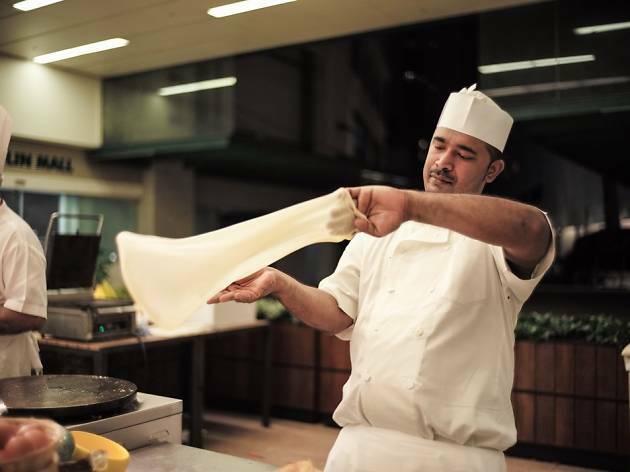 On Tuesdays, the spread focuses on dishes closer to home, covering favourites from Malaysia, India, Indonesia and beyond. Look out for dishes like laksa, oxtail rendang, and Thai-style steamed fish loaded with garlic, lime and chilli. 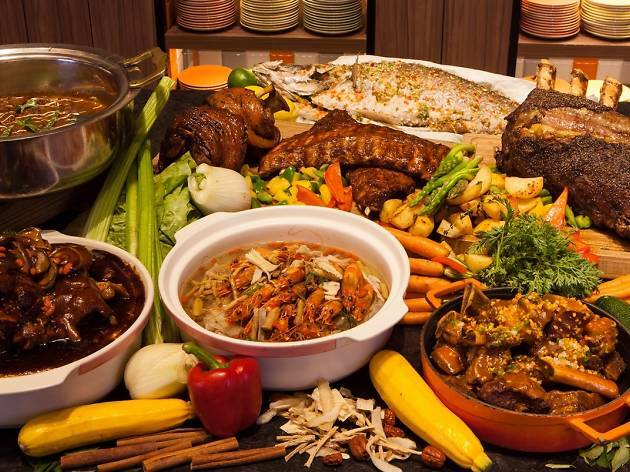 The buffet even extends beyond the floor to the al fresco area, with live stations whipping up bak kut teh, pulling teh tarik and flipping roti prata and roti jala à la minute. Be sure to save space for dessert as there’s an array of colourful Singapore-style ice cream sandwiches available too. Here’s one for the seafood lovers. On Wednesdays, J65 overflows with lobsters of all shapes, sizes and types. 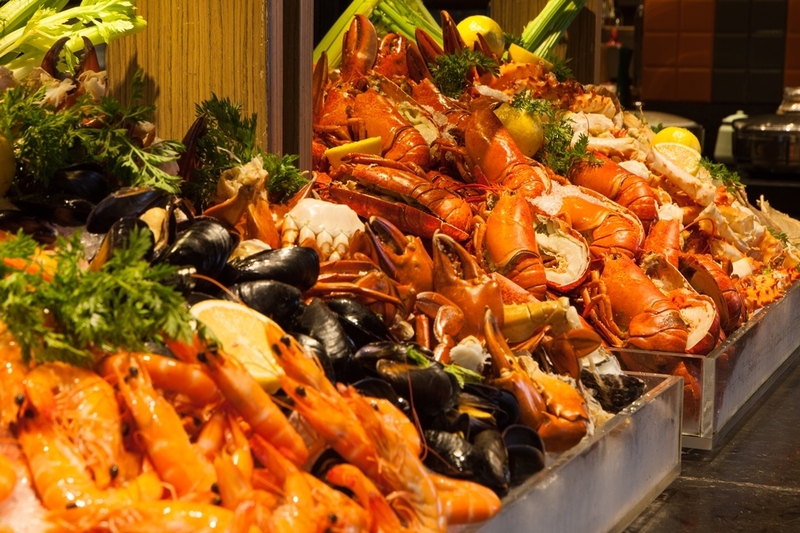 Boston lobsters, mountain lobsters and slipper lobsters sparkle on the ice bar for those who like their seafood au naturel, but there are also baked, curried, stir-fried and grilled crustaceans for people looking for variety. 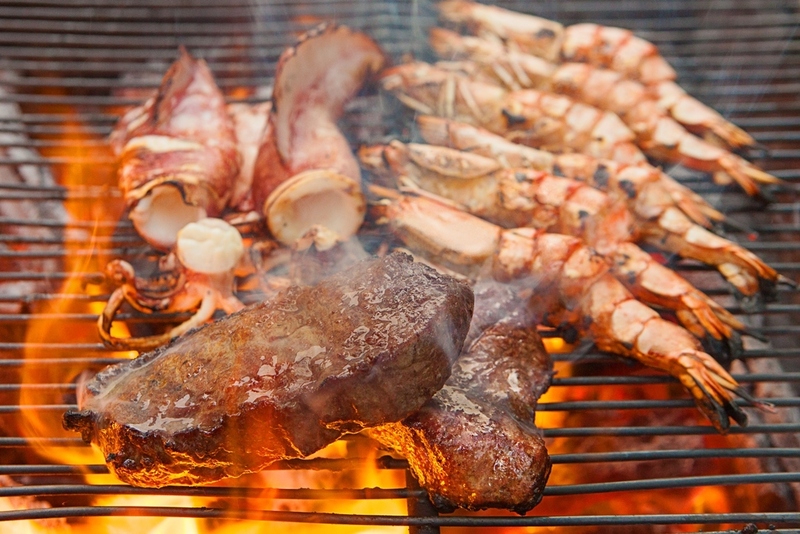 The barbecues at the al fresco stations light up on Thursdays for a night of grilled meats and seafood. 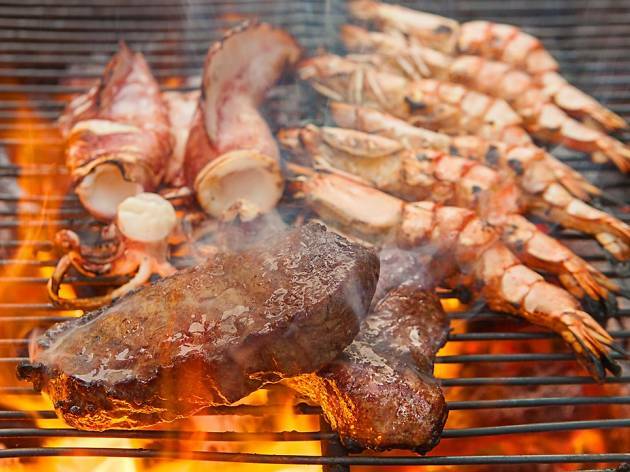 Aside from hot favourites like satay and grilled slipper lobster, don’t miss J65’s signature Korean pork belly and beef rib bulgogi, alongside other dishes prepared fresh by the kitchen like champagne pork ribs, prawn masala and black pepper crabs, just to name a few. 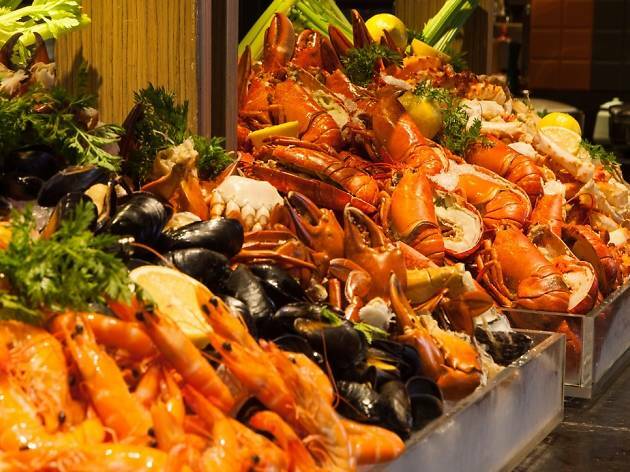 It’s seafood galore on Fridays and Saturdays with a selection of Alaskan crabs, mud crabs, Boston lobsters, prawns, mussels, clams and fresh oysters from Australia lining the buffet table. It’s not all cold plates, though. 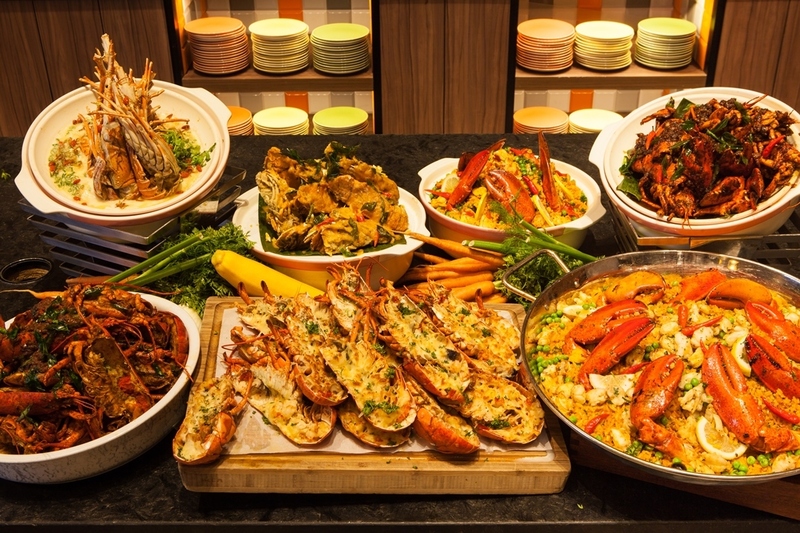 You’ll also be spoilt by the extensive hot seafood dishes done in both Asian and western styles. 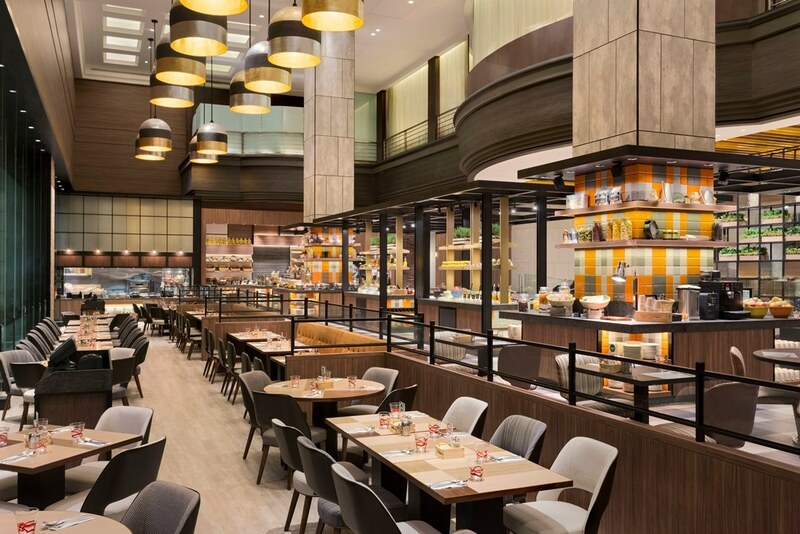 J65’s themed dinners are priced at $55 (Mon, Tue & Sun) and $65 (Wed-Sat). Enjoy an exclusive 30% discount when you book online via hoteljen.com/bookJ65 before May 25 or call 6831 4374 for direct bookings. 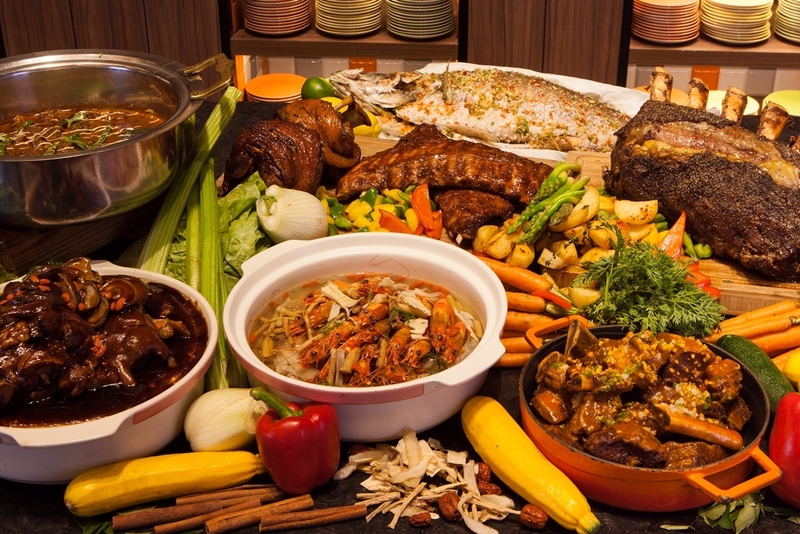 Buffet dinner is available from 6-9.30pm.